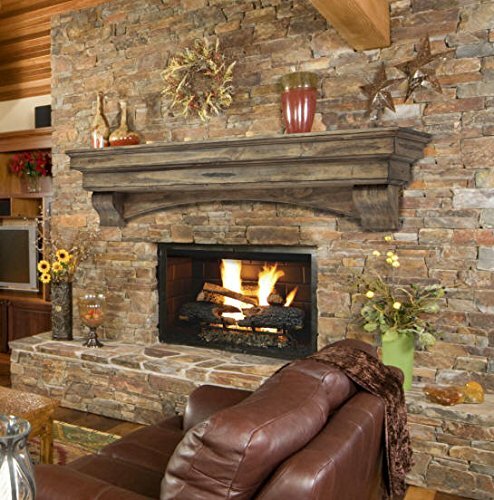 If a stone fireplace is the centerpiece of your log cabin, then the fireplace mantel is the heart of your hearth. Your choice of mantel will add a quiet charm to your log home and reflect your style – from rustic to contemporary to elegant. A unique mantel will not only make your fireplace look great, it will add a new dimension to your entire log home interior design. You're already embracing the rustic, outdoorsy feel of logs and timbers. Bring a natural beauty into your log cabin or timber frame home with log accents like an old-growth Western Red Cedar mantel or a slice of bluestone, maybe a Pacific Yew mantel or a hand-hewn reclaimed timber mantel. Complement that mantel with a hand-laid stone fireplace and a log fire and you will have a cozy retreat that will be the gathering point for your log home. Sourcing a fireplace mantel locally can be difficult. Check antique stores for old timbers. Go to local flea markets and swap meets to find wood slabs. In a rural or heavily wooded area you can often find places where timber crews are clearing land for development or thinning the woods. They may be happy to let you take a section of split log that you can air dry and plane down to use as a mantel. If you have a log mill or timber frame manufacturer in your area they can cut wood slabs for you from their stock of wood. For stone mantel ideas, check out your local stone yard or landscaping yard. They will have pallets of stone that you can buy by the stone. Workers there can help guide you through how much stone you will need to cover a certain area and how to apply the stone. But these places can be hit or miss at best, and awkward to buy and transport. By far the best option is to look online for that rare and special piece that is truly yours alone. Online you will find a much larger selection of different rustic styles and a huge inventory of everything from sleek, elegant stone mantels to unique burlwood mantels unlike anything you’ve seen before. You can find mantels made from reclaimed wood that come with a unique history or unusual background to add a warm touch and rustic character to your log cabin. One thing to watch out for when shopping for mantels online is the cost of shipping and handling to get the mantel to your log home. The best dealers will show you right up front what the additional costs will be, and some even include free shipping on their mantels! Typical rates for shipping charges might be: For mantels up to 6', shipping costs run $90. For mantels over 6' and less than 150 lbs., expect shipping to cost $135. For mantels weighing over 150 lbs., they must be shipped via freight and charges will vary. Once valued as a basic essential for living, fireplaces and mantels have become a core feature and focal point of log homes around the world, adding a warmth and old-world charm to your great room. 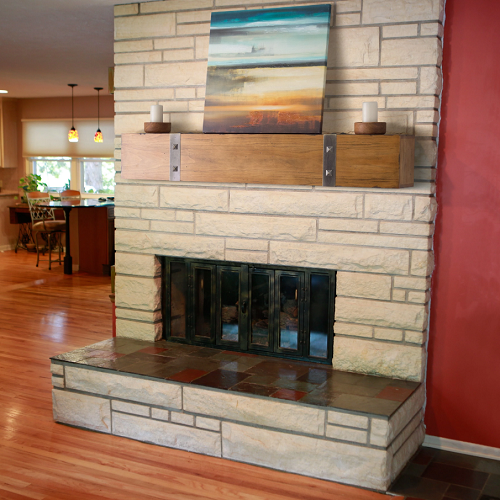 A fireplace mantel is a rustic design element as well as a functional piece of art, bringing outdoor beauty indoors. 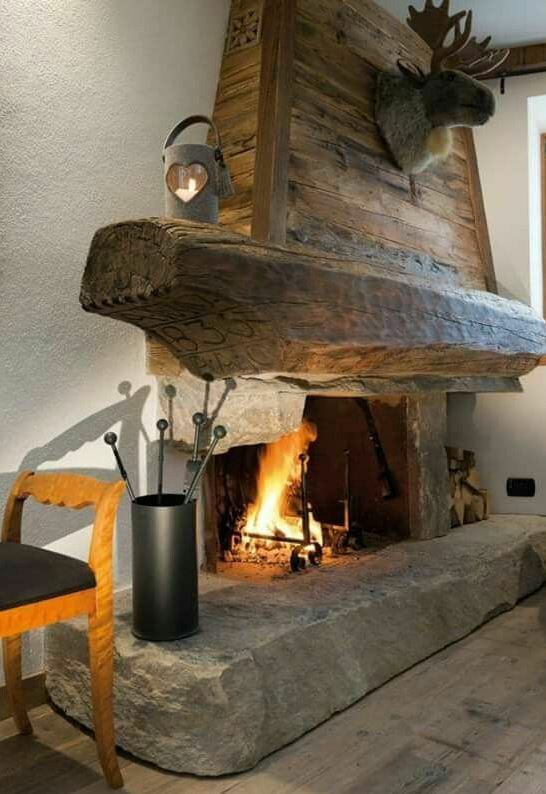 A handcrafted fireplace mantel can be created to suit whatever cabin interior design you desire. Some log home décor ideas are Adirondack Lake Cabin, Southwestern Style, Western Lodge or Appalachian Style. Whatever look you want, there is an ideal mantel for you that will reflect the unique and personal style of your log home.